Season three of AMC’s riveting drama Preacher will premiere on Sunday, June 24, 2018 at 10pm ET/PT. 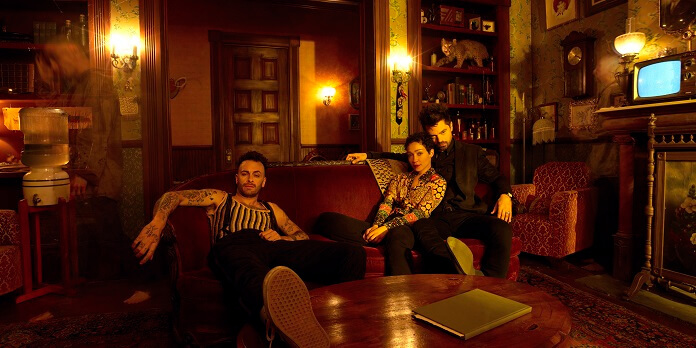 The new season finds Jesse Custer (Dominic Cooper), Tulip (Oscar nominee Ruth Negga), and Cassidy (Joseph Gilgun) visiting Angelville, the Louisiana plantation where Jesse was brought up. The road trip to Angelville means fans will get the opportunity to meet the weird batch of new supporting characters, including Gran’ma (Betty Buckley), who’ve played important roles in Jesse’s life. Preacher‘s based on the comic book series by Garth Ennis and Steve Dillon and has the creative team of executive producers Seth Rogen, Evan Goldberg, and showrunner Sam Catlin bringing the complex characters to life on the small screen. With the third season about to premiere, longtime friends and collaborators Rogen and Goldberg teamed up for a conference call to discuss the new season and Jesse, Tulip, and Cassidy’s stay in Angelville. How will season three differ totally and thematically from season two? Evan Goldberg: “Although the first few episodes are kind of more revolving around the house and Angelville, the show itself traveled a lot this year. I would say maybe even more than it did last year, as far as like how many different locations the show takes place in and to how many different cities it takes place in and all that. I think it does continue to expand. But I could definitely see how the first few episodes make it seem like they’ll be largely anchored in Angelville throughout a lot of the season. But, it doesn’t really like come together that way. What were you the most excited about bring to life on the screen in terms of Jesse’s past in Angelville? Evan Goldberg: “I mean, without a doubt, the best part of it is the characters of Jody, TC, and Gran’ma, just like getting into those fan favorites and personal favorites of ours, and getting to like kind of tackle characters who are unlike any characters we’ve seen before. We’ve had a lot of different characters in the show, but these people are psychopaths. They are like terrifying people. It is just a really fun and a really different thing to tackle. You’ve been able to bring Preacher to life pretty closely to what comic book fans have been expecting, in regards to tone and content. What was the biggest challenge in doing that for season three? How do you go about writing the dialogue for each character? Do the actors have liberty to ad-lib along the way? Could talk about the changes to the storyline, specifically between Tulip, Gran’ma, and God? and also, what specifically you wanted to keep from that storyline? Evan Goldberg: “I mean, the comics just has a lot of like Jesse facing Tulip, and a lot of Jesse telling Tulip to not do stuff because it’s too dangerous; and then he’s going to do it. That stuff just felt like stuff that could be improved on and stuff that allowed us to give each character more opportunity to be active, and to be heroic, and to be making decisions. That was really what we were trying. How did you settle on Betty Buckley for Gran’ma, because she’s absolutely perfect? The marketing of season three seems to embrace the “if you don’t like it, don’t watch” approach. Was that an active decision you made going into promoting season three? Evan Goldberg: “Oh, we didn’t like go into season three with this plan. But, you know, the marketing discussed a bunch of options with us. And when we talked about this plan, we thought that it really made sense because it’s a show that really like pushes boundaries and goes for it. That’s why the people who love it, love it. Seth Rogen: “Yes, exactly. I think there’s so many shows on television now that, to us, being different is a good thing. If you don’t like that, then, guess what? There’s a hundred million other shows that you have the opportunity to watch. You really get into adapting worlds where you can go completely guano. What is it about Garth Ennis’ work that aligned so well with your aesthetic? Seth Rogen: “A few things. I think that to us the tone, you know, as directors, is like the most fun thing to get to play with. 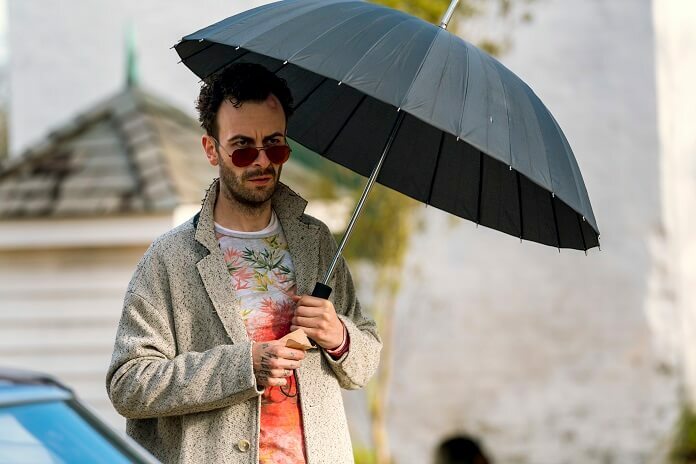 And it’s why off the shows we have, and we direct a lot of them, like Preacher is in a lot of ways the most fun because there’s the least rules. When we are hiring directors, that’s what we say more than anything is like, ‘There are no rules. You can do anything. If it seems cool and it helps the story and supports the characters, go for it.’ That to us is the best part of the show. Do you think the Allfather D’Aronique storyline will create the biggest protests? So much of the new season is about Jesse going back home and about Tulip’s journey coming back from this really dark, awful dead place. But where Cassidy is headed as we get into season three? How influential was the success of Preacher with being able to start moving forward on The Boys with Amazon? Evan Goldberg: “I think it’s absolutely key and without Preacher, I can’t imagine they would have even considered it for a minute. Because even though Preacher is by far the craziest, most reality-bending, genre-bending thing, The Boys is much more grounded in reality. But it is equally insane in its own unbelievably gritty, unforgiving analysis of societal clause through this very different story. Seth Rogen: “Exactly. I think mostly that’s what Preacher did. It’s like it had kind of been dubbed un-makeable, and that was crazy to us because we couldn’t have had a more clear vision of how it could have been made. And a similar thing was happening with The Boys where it was kind of handed off by a few different people who, by all means, should have been more suitable to make it than us. But for whatever reason, they couldn’t. What were you guys thinking with the addition of the Madame Boyd rivalry with Gran’ma, because that seemed like kind of a new twist? Preacher is really a road story in its inception. You’ve handled that in the first two seasons by turning each pit stop into the setting for an entire season. How did you decide on that structure? Seth Rogen: “I mean part of it honestly is logistical. We do not have the ability to do every episode in a different city. You know, it could just have it be like, ‘Oh, Episode 1, they’re in San Francisco. Episode 2, they’re in New York. Episode 3, they’re in Albuquerque.’ The nature of how TV shows function sometimes, and this is one of them, is you just do things for financial reasons, unfortunately. You kind of need to revolve it around a few main locations. The Angelville storyline is crucial to Preacher. How much importance did you put into developing it and figuring out where to insert it in the story? And, also, this is a big thing for us in doing the comic and making it into a show. The comic, by nature of being a comic, just had to jump into sh*t really fast because Garth had to sell enough for people to keep letting him make the comics. So, he just had to kind of rocket forward into the heart of the story. TV these days, you know, a lot of our conversations are about Breaking Bad, obviously, with Sam. It’s like a slow burn. It’s really great, like Game of Thrones you can’t imagine how big it’s going to end from where it starts. And so we really wanted to just make sure we didn’t get too crazy too quickly, and that we let the audience ease into the crazier stuff. Tulip is a badass and audiences love her. 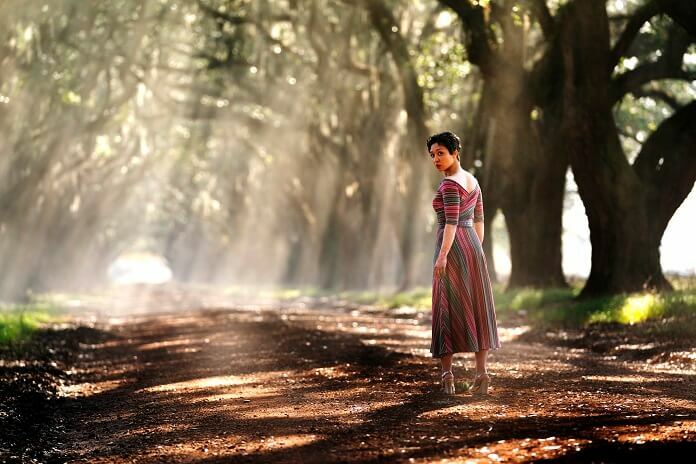 What direction is she headed in this season and how has her time in purgatory affected or influenced her? Can you talk about continuing to push the love triangle forward and how that might factor into the friendship? How many stories did you guys insert into this season? Evan Goldberg: “I think there’s like three full – no, there’s four. No, there’s many. There’s many. I don’t know. There’s like five or six. There’s a lot of stuff that’s been going on. For this show, we really think that the pace should get crazier as we go along. So this season, like more happens faster, with more ramifications than the season before. And the season before, I think, had less than the season before. We just want it to kind of ramp up always. Evan Goldberg: “It’s kind of a thing from Breaking Bad. It’s like ruined most TV shows for me now where like they just would introduce [characters]in Breaking Bad and I’d be like, ‘Oh, this is what season four is going to be about.’ And then two episodes later, they were all dead and something completely different was happening. It just blew me away every time. >What can you say about the Grail storyline? What were the things you felt you could expand more on Hoover and Featherstone that would make them more integral and not just be kind of comic reliefs? Seth Rogen: “I think they’re, A, not that threatening in the comics. I think the idea that especially, Featherstone is a real threat and a very adept agent, and a true believer of the Grail, and someone who truly feels for Herr Starr and wants to do good by him. I think in the comic, to me, they both always came across as like a little…I don’t know. You just never were that worried about them. Was there ever anything AMC told you not to do? As the directors of The Interview, what was your reaction to the Trump-Kim summit? Seth Rogen: “Yes. I didn’t think that the vain egocentric talk show host character that we portray in The Interview who gets swept up by Kim Jong-un and doesn’t realize was being manipulated would be the President of the United States. But it seems like a possible dynamic nonetheless. So, I think that’s what we were worried more than anything.